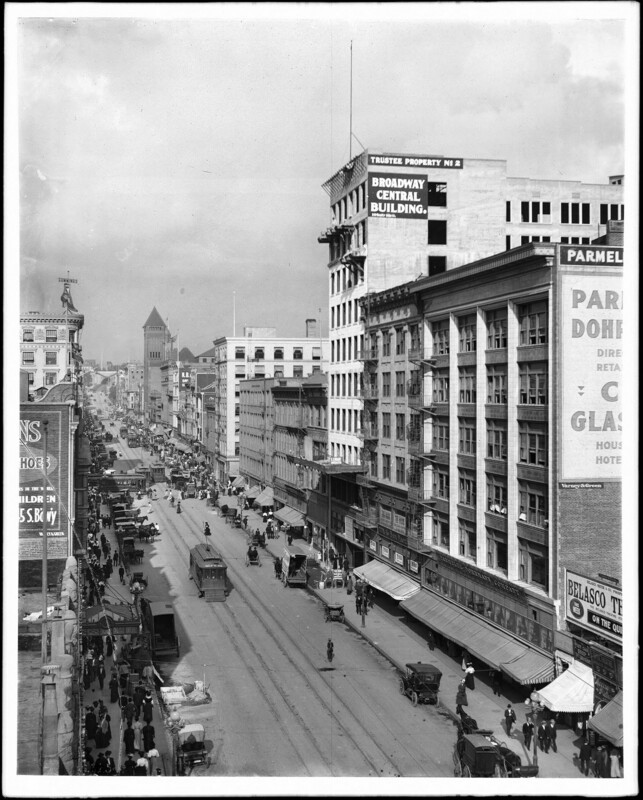 View looking north on Broadway, between 4th Street and 5th Street, ca. 1906. The Belasco Theatre is in the lower-right foreground. In the distance can be seen City Hall and, further back, the Broadway Tunnel. Water and Power Associates.